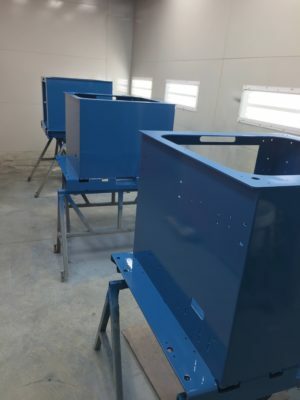 We offer two types of paint: electrostatic powder paint (powder coating) and liquid paint. For long-lasting, hard-wearing paint, powder paint(also called thermosetting paint) is a winning choice. 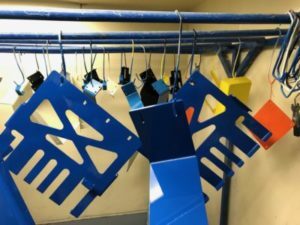 Our equipment, which includes an automated cleaning and painting line, allows us to offer an irreproachable quality of paint for the parts we manufacture. 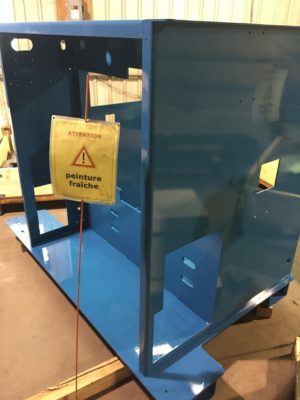 Several colors are also available, allowing you to distinguish and customize the pieces according to your needs. -It produces almost zero volatile organic matter (VOM). preferable for its greater ease of application and the cost savings it can represent. 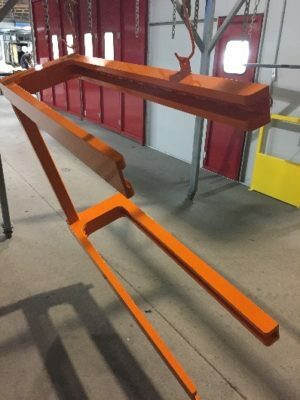 Although we prioritize powder painting for all its qualities, we are also able to offer, at the same level of quality, liquid paint.